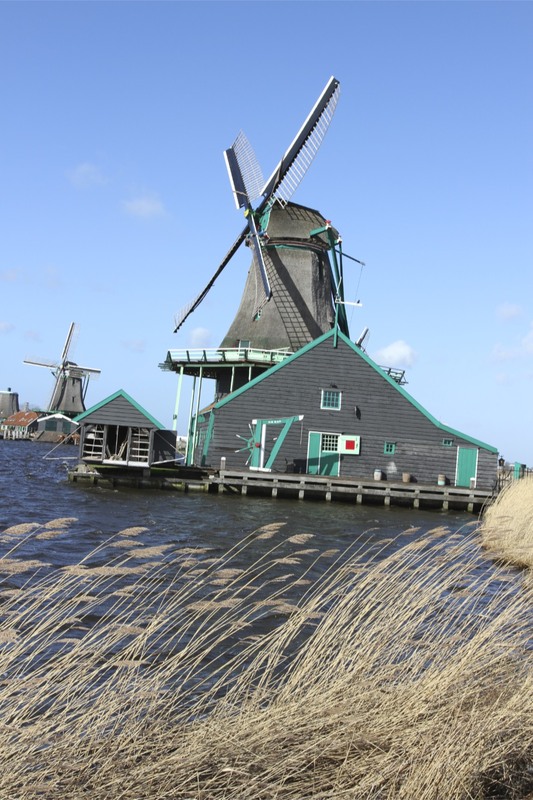 There’s no doubt, the main atraction around the Zaan river are the working windmills and beautiful historic village of Zaanse Schans that form the open museum sitting on the river’s eastern bank. 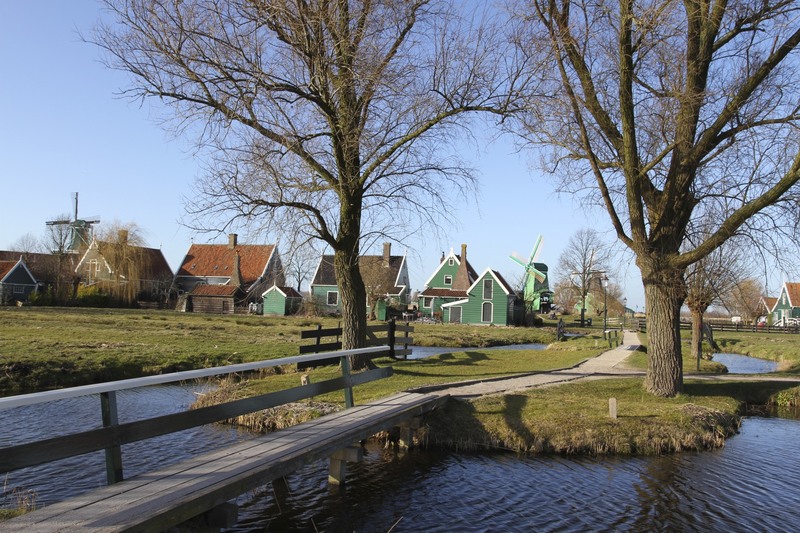 Head over to the west bank though, and the equally historic, if less blessed with windmills, village of Zaandijk makes a pleasant stroll en route back to the train station. 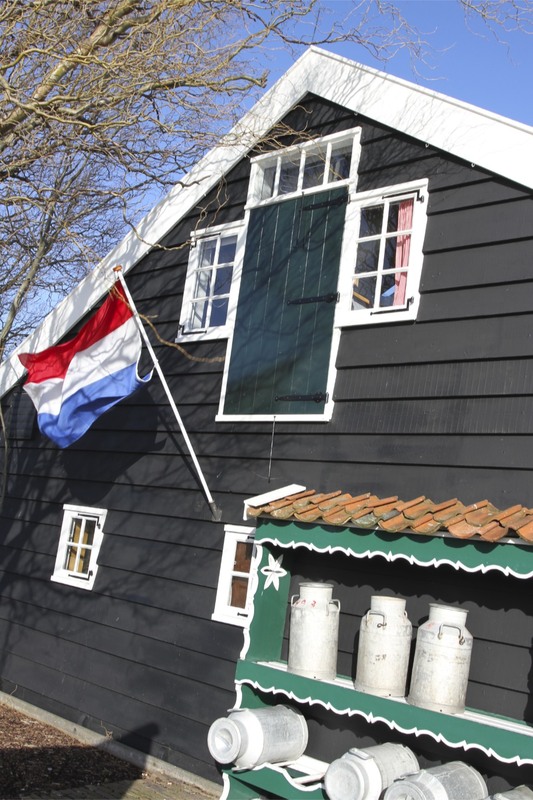 Established in 1494, when the area was known as the Lage dijk, or Lower Dyke, the founder of the village was Heyndrick Pietersz. His five sons settled nearby and, in that very literal human way, the village became known as D’ Vijf Broers, the Five Brothers. 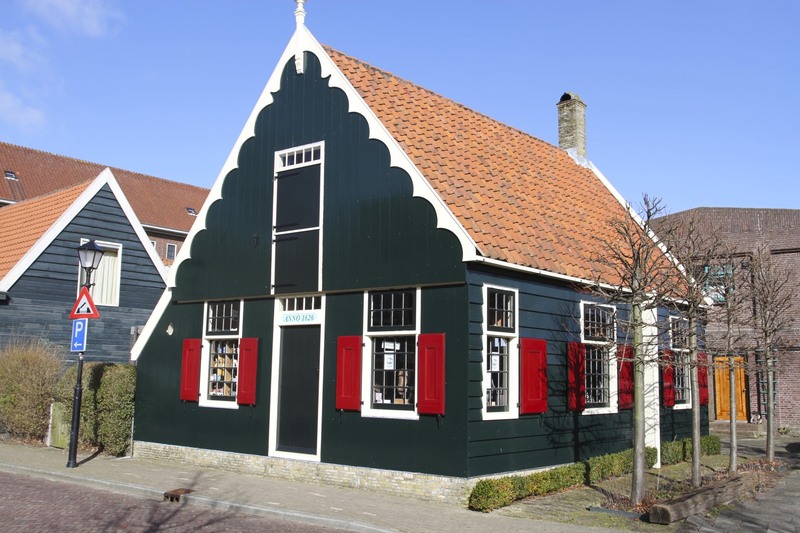 The village didn’t exactly take off, by 1573 it was home to only nineteen wooden houses. 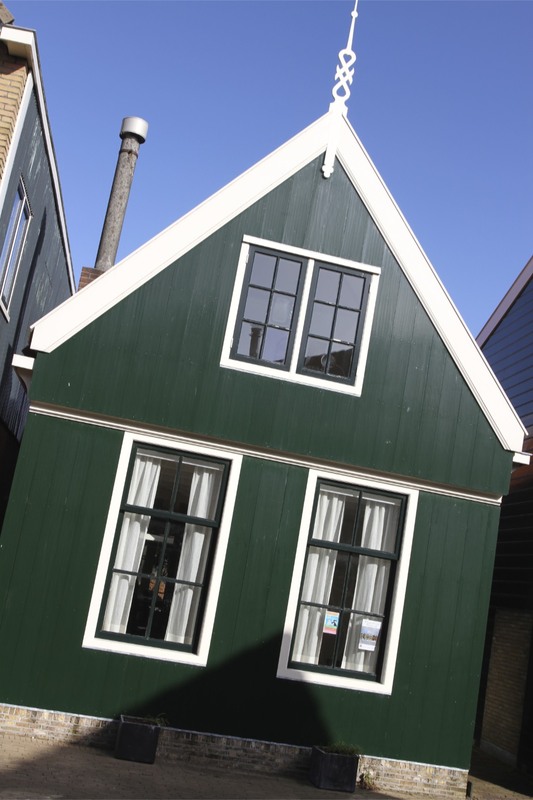 Unfortunately for the Dutch inhabitants wooden houses aren’t very fire resistant. A couple of years later the Spanish army arrived and burnt the village to the ground, part of their hearts and minds campaign during what is now known as the Eighty Years’ War – the protracted war for Dutch independence. Luckily for the modern tourist, the inhabitants slowly came back and rebuilt. 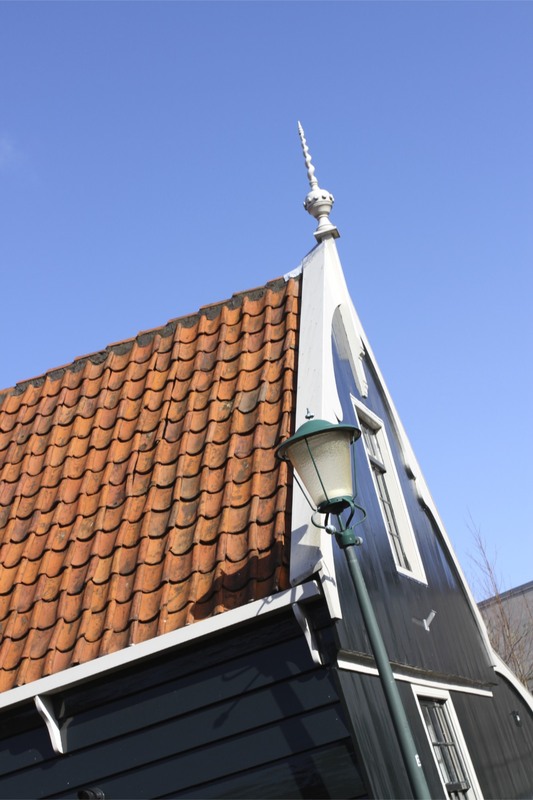 Today as you make your way down the main street past lovely 18th and 19th Century brick houses, and the occasional wooden building, it’s clear that the village has expanded. 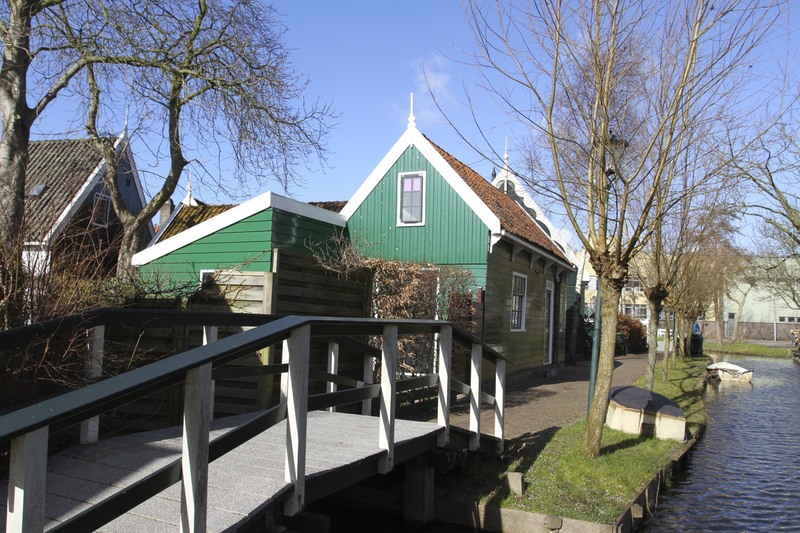 Now home to nearly 10,000 people, the historic heart of the community still exists in a small area of wooden houses criss-crossed with small water channels close to the river. There was hardly a soul around when I visited, and as I wandered through the narrow streets it was very tranquil. 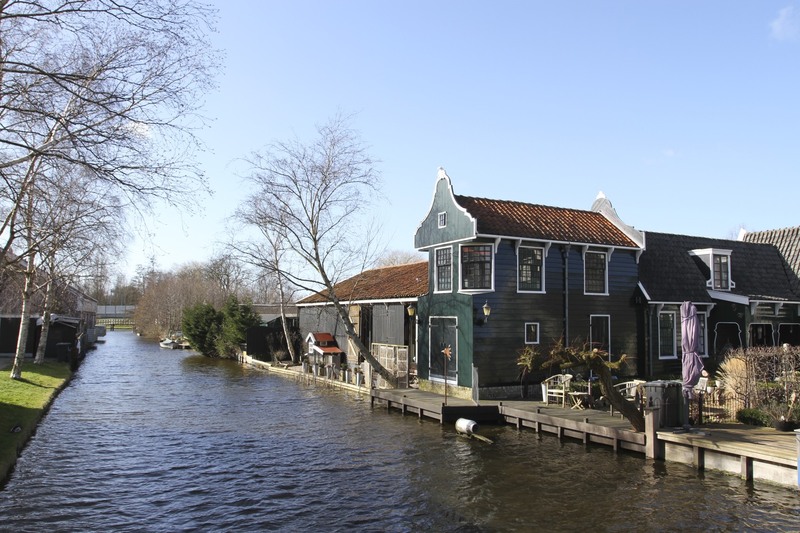 I found myself fancifully imagining living inside a sturdy looking wooden house with good access to the Zaan river, pastoral scenes flitting past. Unfortunately, or maybe not, I kept being dragged back to reality by an overwhelming pungent sickly sweet-sour smell that filled the air. There didn’t seem to be an obvious source for the stench, but as I made my way back to the train station the smell seemed to intensify. Finally, I discover the source of my olfactory discomfort: cacao processing. The Cacao de Zaan factory processes cacao which is ultimately destined for lots of different chocolate products in The Netherlands and beyond. I’ve never smelled ‘pre-chocolate’ before, it’s not exactly a ringing endorsement for the final product. A factory has been operating in this area for over a century, I guess local people are used to it? 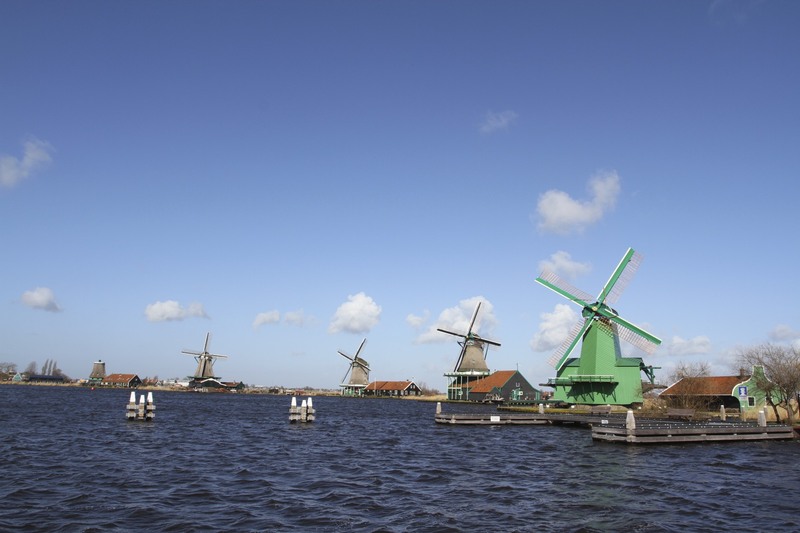 Viewed from the bridge across the Zaan river the wonderful working windmills of Zaanse Schans are a memorable sight. Perched on the banks of the river, on a late winter morning they were almost silhouettes against the yellow reeds that form the landscape behind them. 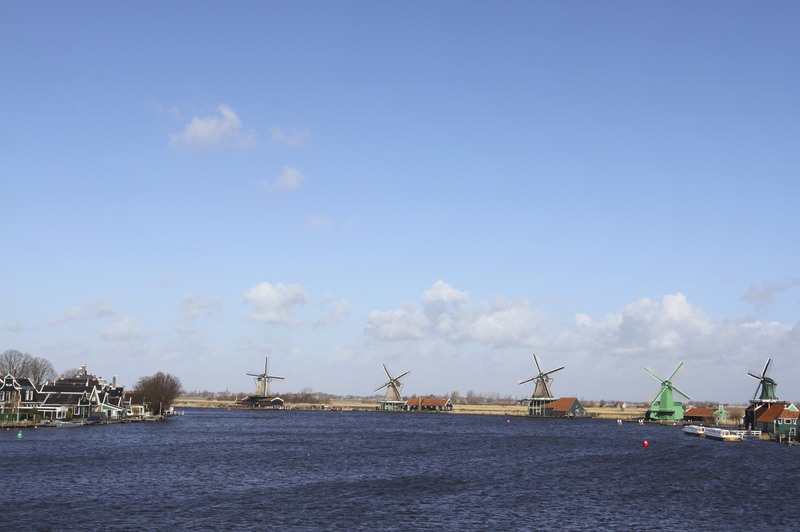 Walking along the dyke upon which the windmills sit, the slight elevation provides views across the typical Dutch landscape of polders criss-crossed with thin strips of water. 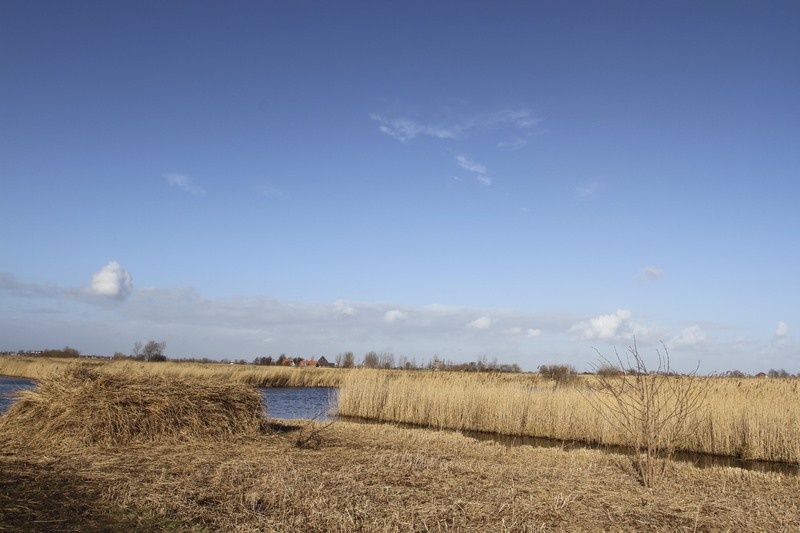 There is no more typical or traditional landscape anywhere in The Netherlands. It is strangely beautiful. 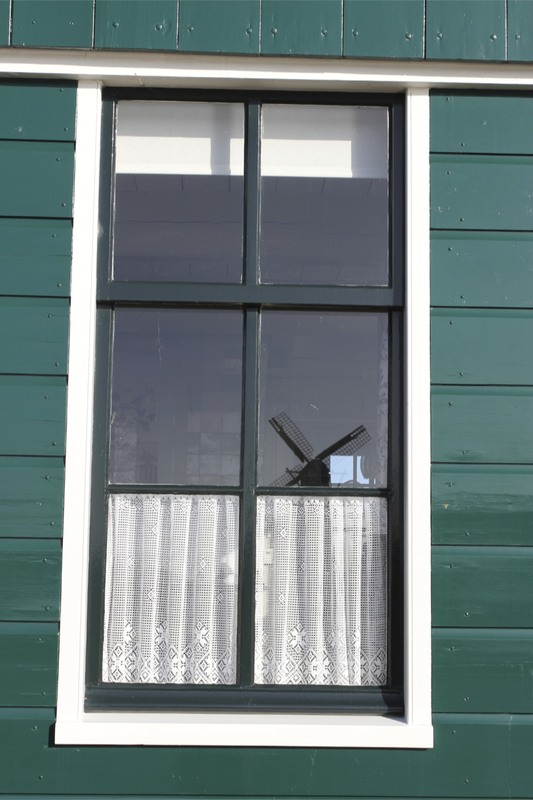 After visiting De Kat, The Cat windmill, I walked along the dyke past a number of other windmills to find the start of a 1.5 kilometre walk that loops from the river into the polder and back to the village of Zaanse Schans. 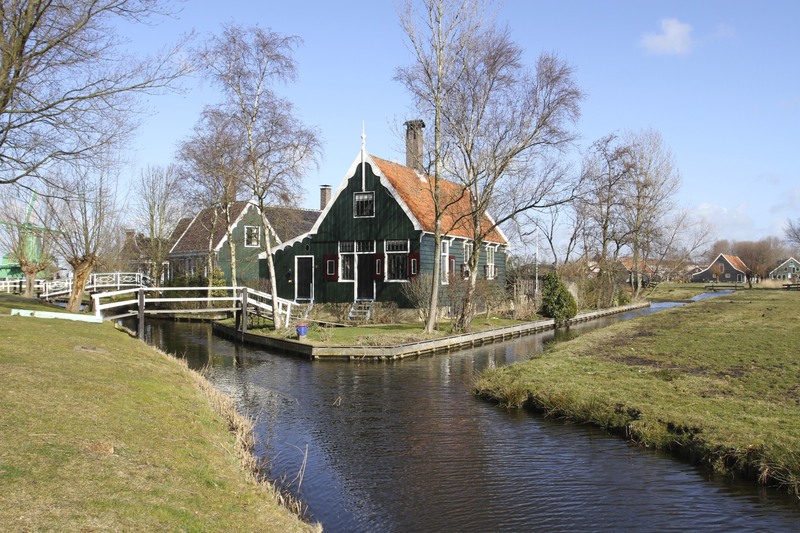 Only a short walk, but enough to acquaint myself with the way polders work. It also takes you away from the bustle of the village which, even in March, was busy. It’s a fairly muddy walk at this time of year, but that is compensated for by the fantastic colours of the reeds and the peace and quite that surrounds you. I saw a couple of other walkers and a young family, but other than that I wandered alone. Walking here it’s easy to forget that all this land has been reclaimed from the water, and only continuous efforts to maintain the polders prevent the water claiming it back. 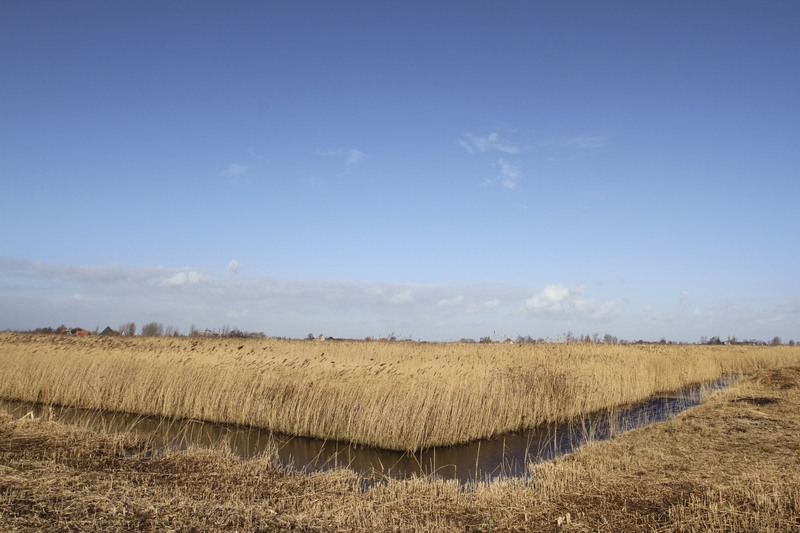 The soil of the polder sinks over time, and water levels from rain or ground water rise, until it eventually finds itself below the water level. Only through a series of pumps and sluices is the water drained away to make the land useable. Even then you have to be careful. Lots of these areas were peat marsh and peat needs to be kept wet or it decays. Drain too much water from the polder and the peat collapses. Keeping The Netherlands afloat is technical stuff. 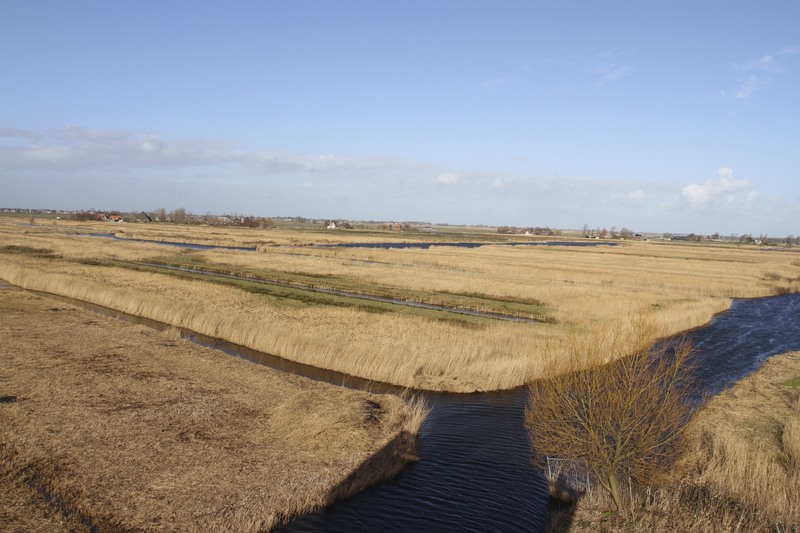 Although the Romans built dykes in this area, the first Dutch polders were constructed in the 11th Century. 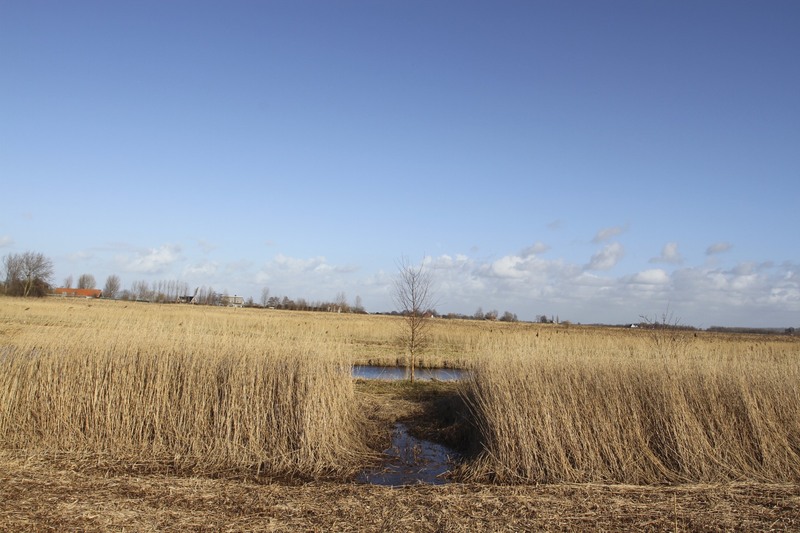 Today more than half of Europe’s polders are found in one of its smallest countries. 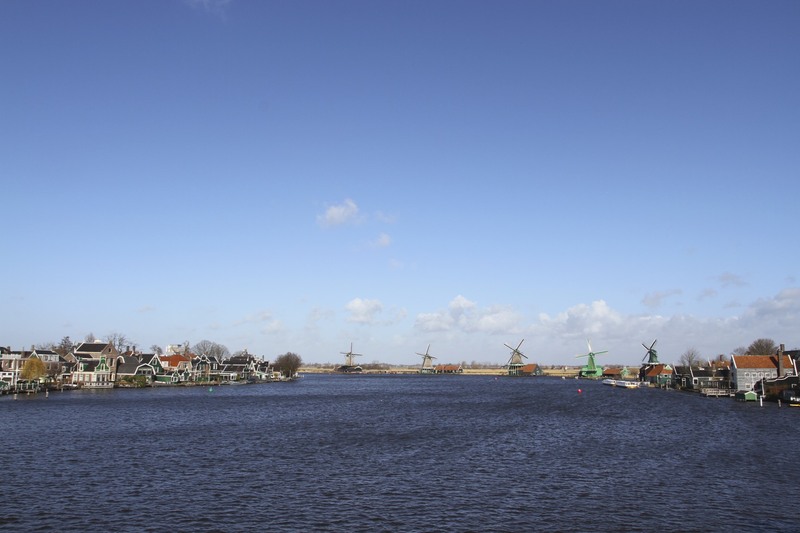 Without the polders and dykes it is no exaggeration to say that half of The Netherlands would disappear under water. 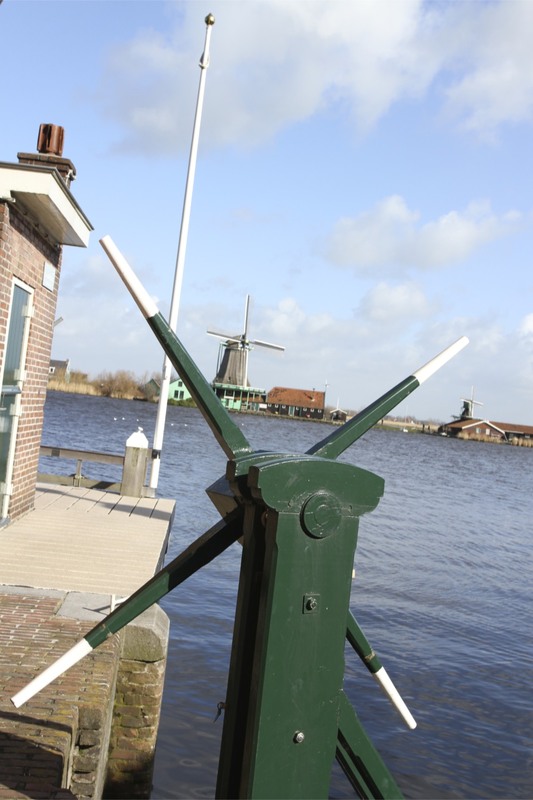 To that end Dutch authorities have an elaborate and highly effective way of managing water defences. 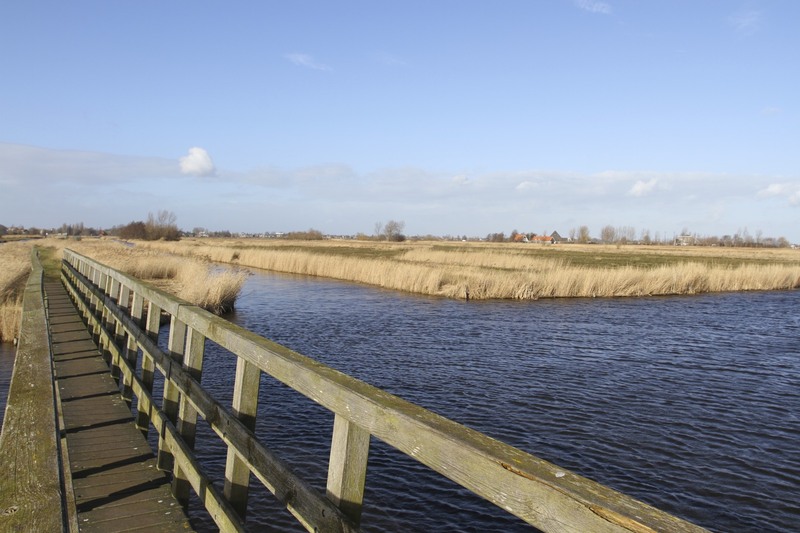 Regional Water Boards, or Waterschappen, manage just about every aspect of water in the country: water barriers, waterways, water levels, water quality and sewage treatment all fall under their jurisdiction. I know this because I receive a tax bill every year for their services. This buys me a vote in electing members to the board. 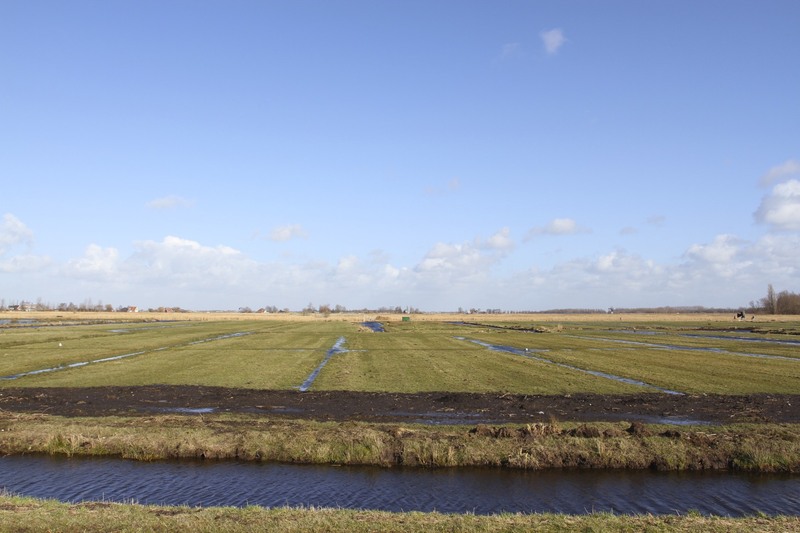 The function of the Waterschappen is little changed from Medieval times, although the central government takes responsibility for big flood defence projects. 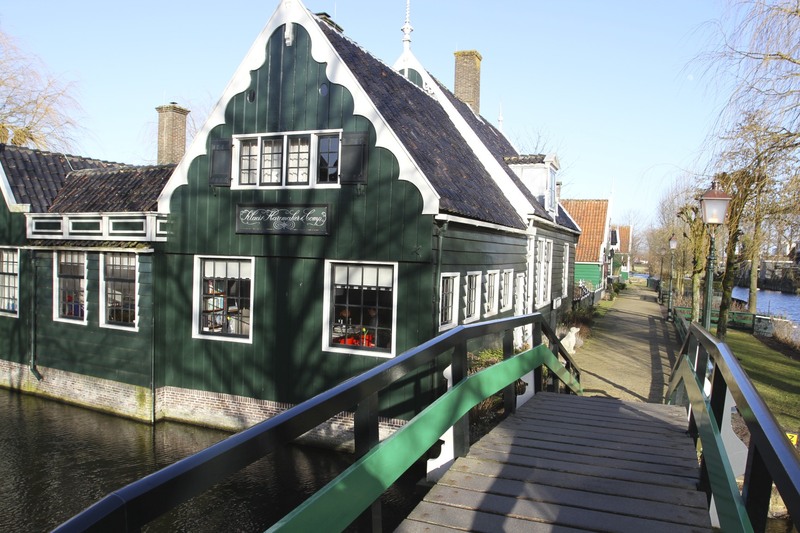 The oldest of the Waterschappen is the Hoogheemraadschap van Rijnland, which was founded in 1248, and they have been busily moving water from one place to another ever since. 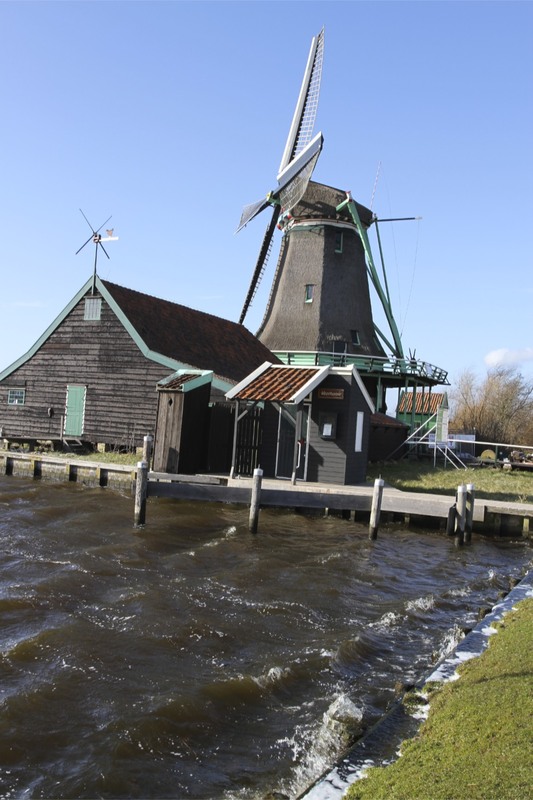 These days pumping stations do most of the heavy work, but the humble windmill was the driving force behind most of the land reclamation across the country. 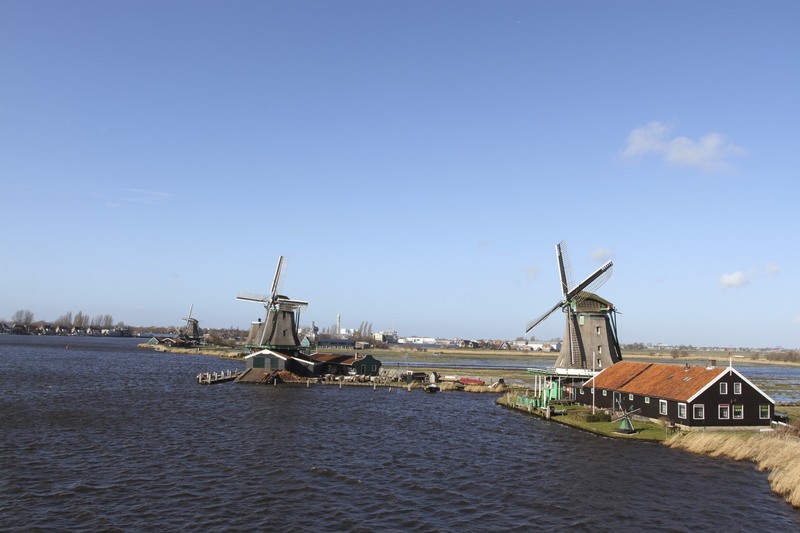 Not the windmills of Zaanse Schans, they were industrial windmills, but there would have been plenty of others around this area 200 years ago keeping everyone’s feet dry. 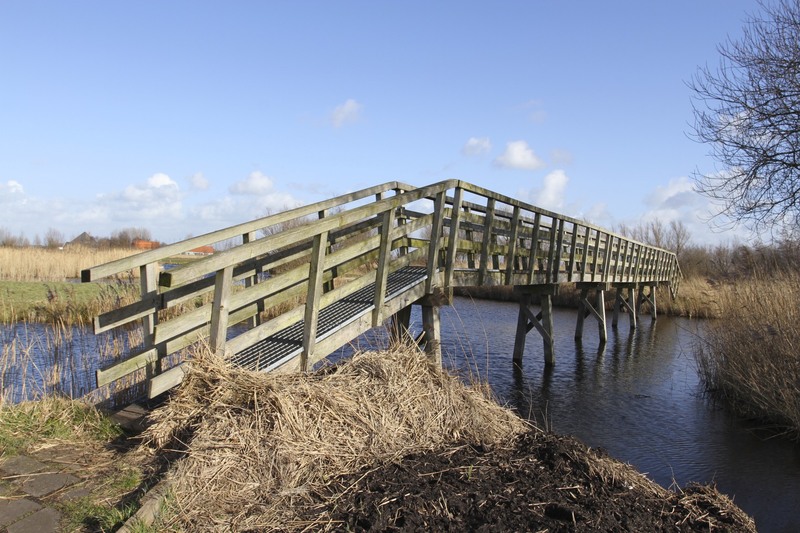 At the end of the walk in the polders there was a raised platform, perhaps 20 metres high, offering tremendous views over the surrounding landscape. It was a windy day and the whole thing shook quite alarmingly. 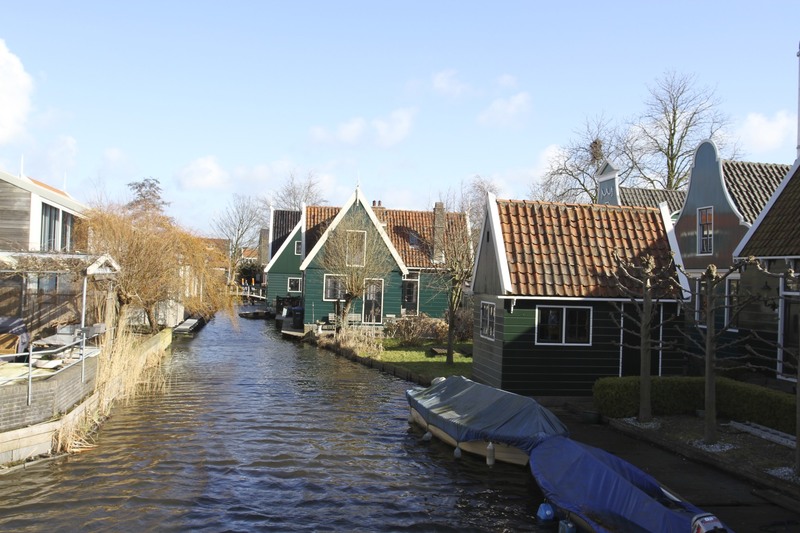 I gingerly made my way back down and headed into the lovely village of Zaanse Schans. 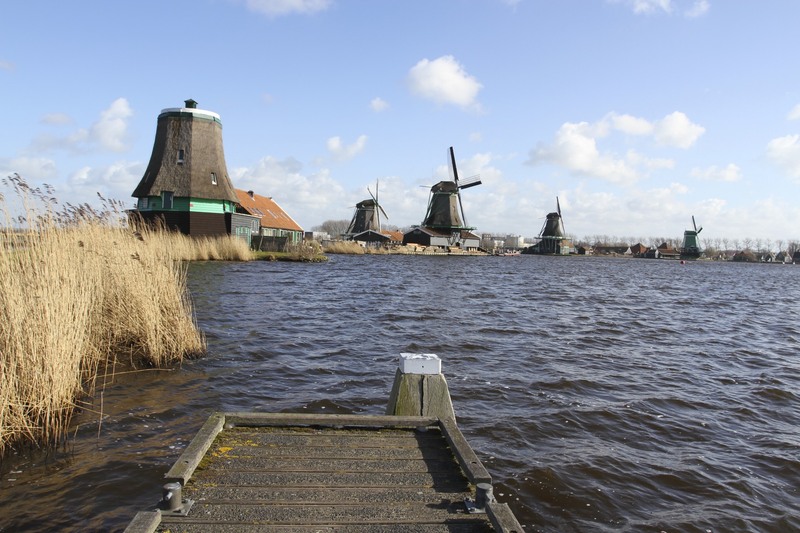 It’s a beautiful place to stroll, full of old wooden houses and waterways – with the ever present windmills in the background. 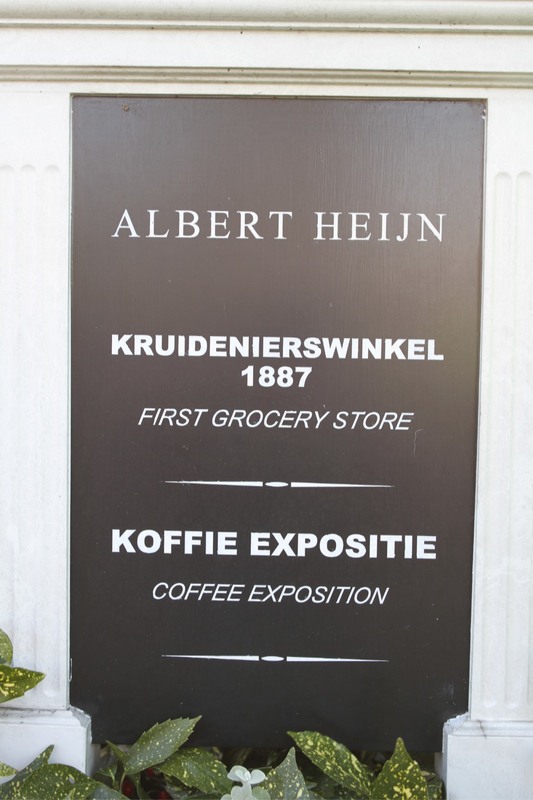 It was only now that I came across a sign telling me that the building in front of me was the first Albert Heijn grocery store. Irrelevant to anyone who doesn’t live here, but Albert Heijn stores are ubiquitous these days – interesting to see where it all started. 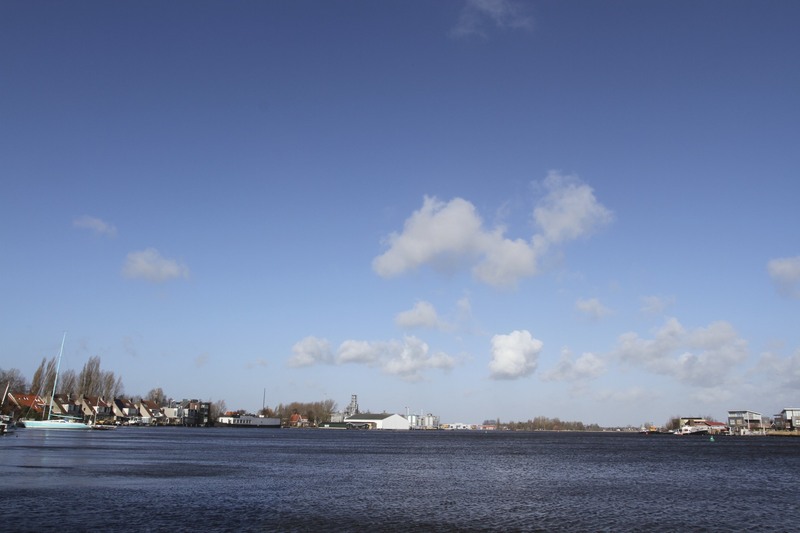 The River Zaan is home to some strange beasts, their names evoking a bygone time: The Cat, The Ox, The Young Lamb and The Spotted Hen. They stand majestic, lining the bank and towering over the lazy waters of the river, where they are joined by The Cloverleaf, The Houseman, The Crowned Poelenburg and The Seeker. 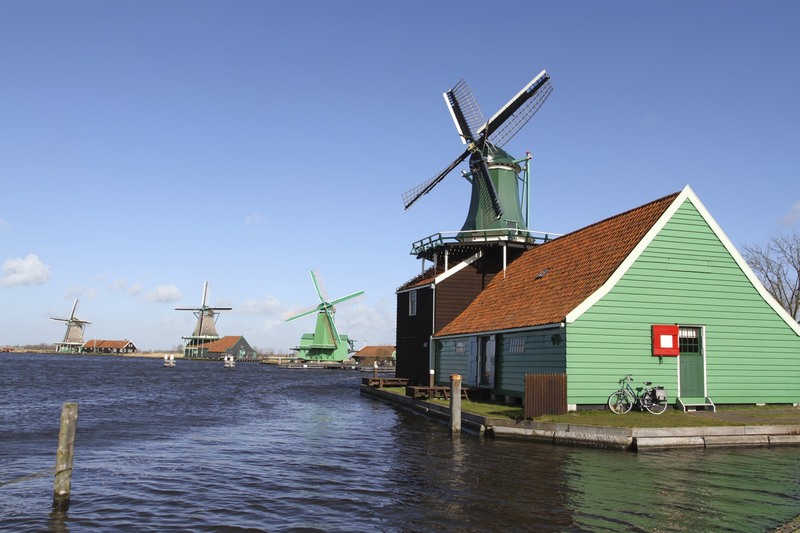 These are the magnificent working industrial windmills of the Zaanse Schans, a piece of Dutch history set amidst a dramatic Dutch landscape. 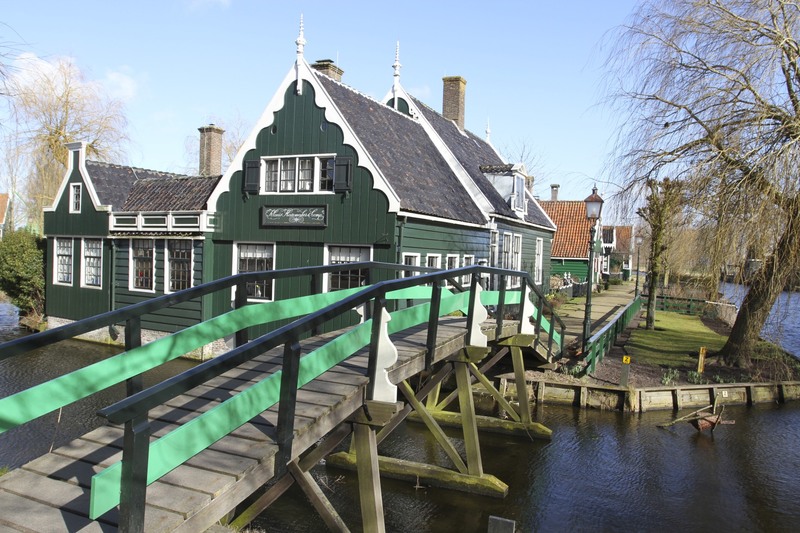 The Zaanse Schans is a living, breathing, open air museum; one that was created in 1961 by bringing dozens of historic old buildings from across the Zaan region and creating a village on the river. A replica of the many typical villages of this area it may be, but its authenticity isn’t in doubt and all the glorious wooden buildings are originals. It lends itself to tourism and even on a coldish March day, albeit a sunny weekend day, there were plenty of people visiting. I’d imagine in the height of summer it can be pretty unbearable for both visitors and residents. 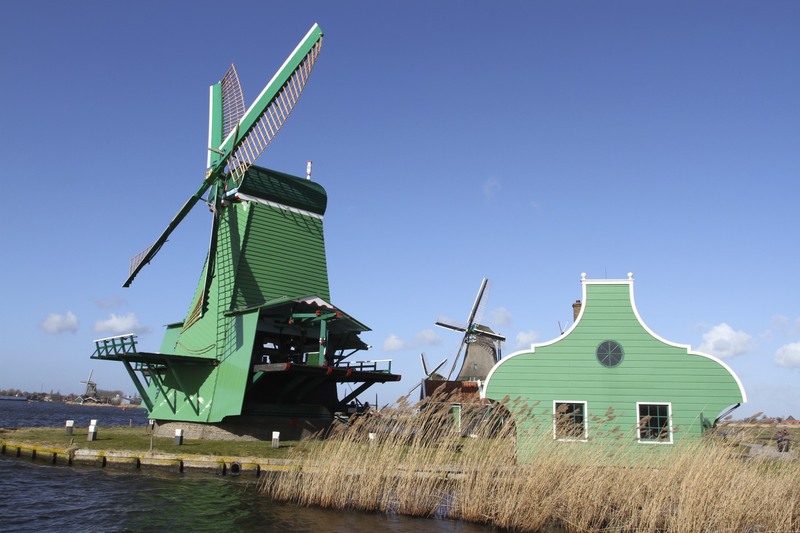 The region was at its peak during the 17th and 18th Centuries, when it boasted over one thousand working windmills. 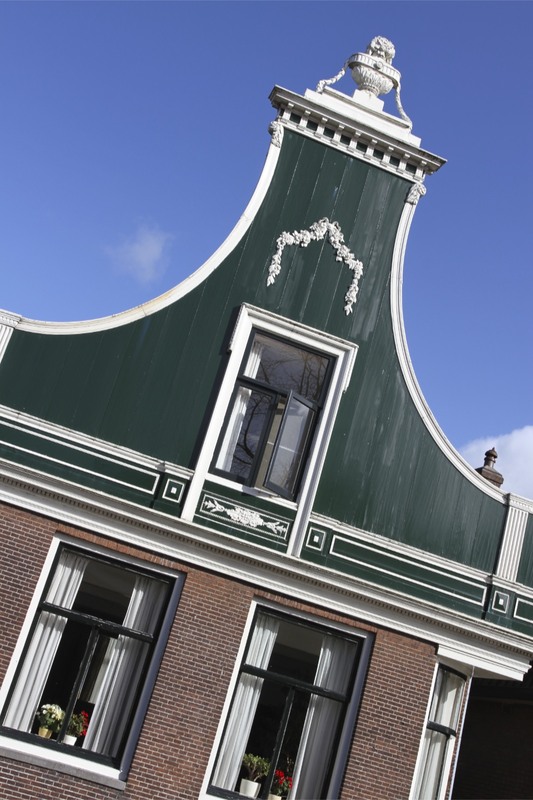 Amsterdam is just a short distance away – 20 minutes by train today, a little longer by boat in the 17th Century – and its thriving port and massive city expansion was the engine for the industrialisation of the Zaan region. This industrial heritage goes back further to the 16th Century, making this one of the world’s earliest industrialised regions. People will tell you it is the oldest industrial area in the world, but that’s a hard claim to substantiate. 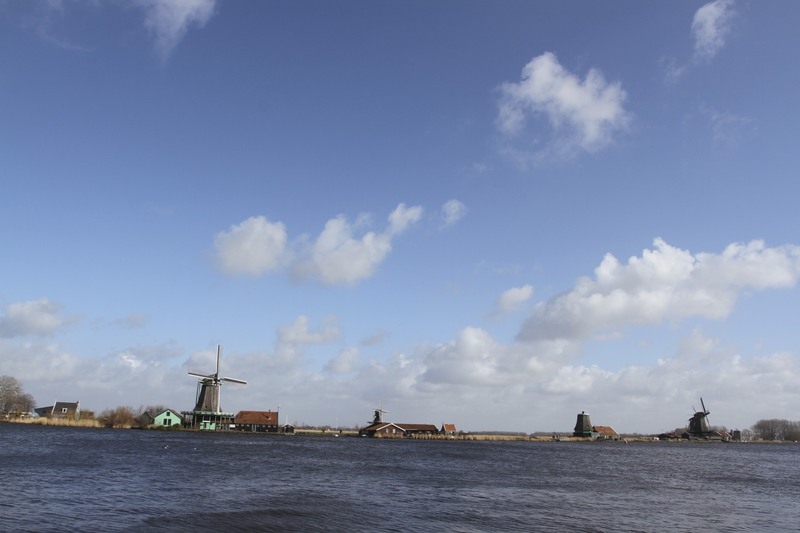 Exploring the windmills of Zaanse Schans gives a clue to what people in Amsterdam needed. 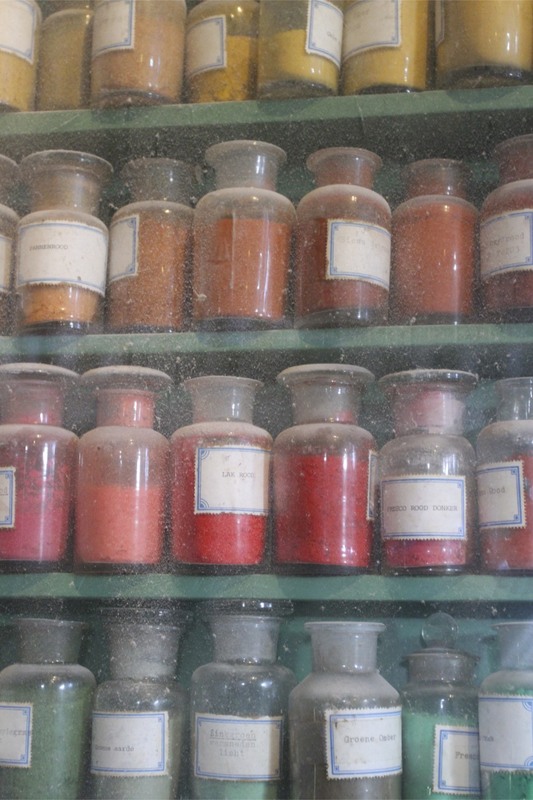 The Spotted Hen and The Seeker are oil mills, The Cloverleaf and The Young Sheep are sawmills, The Houseman a mustard mill and The Cat is a paint and dye pigment mill. These are just some of the many commodities milled in the region: paper, barley, rice, tobacco and hemp were a few of the others. 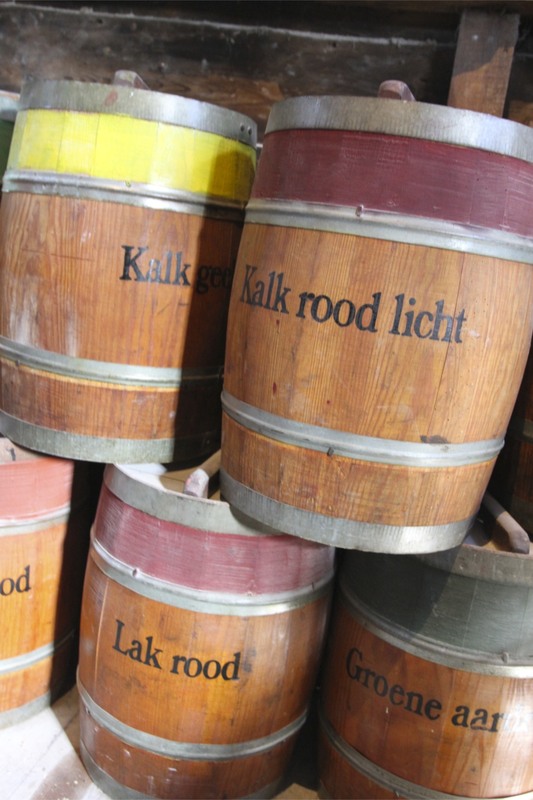 It must have been an extraordinary sight it’s peak of industrial activity: raw materials arriving in shiploads from around the world, in particular from the East Indies where the Dutch were building an Empire. Raw goods need processing and windmills provided the power to do just that. 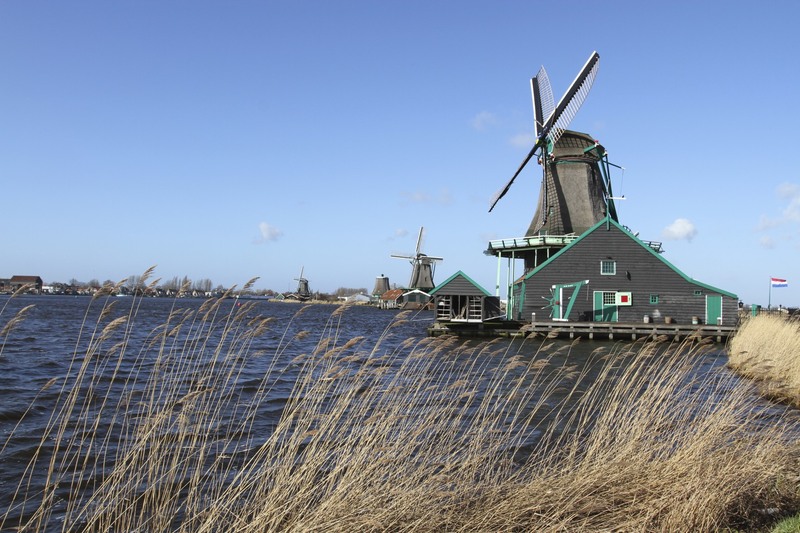 It’s easy to view windmills as just a prosaic extension of the modern rural landscape; but these were self contained factories that wrought huge change and led to enormous economic and social upheaval. Their appearance in the landscape was every bit as revolutionary and shocking as the urban factories of the Industrial Revolution in the late 18th and early 19th Centuries. At least windmills run on renewable energy. 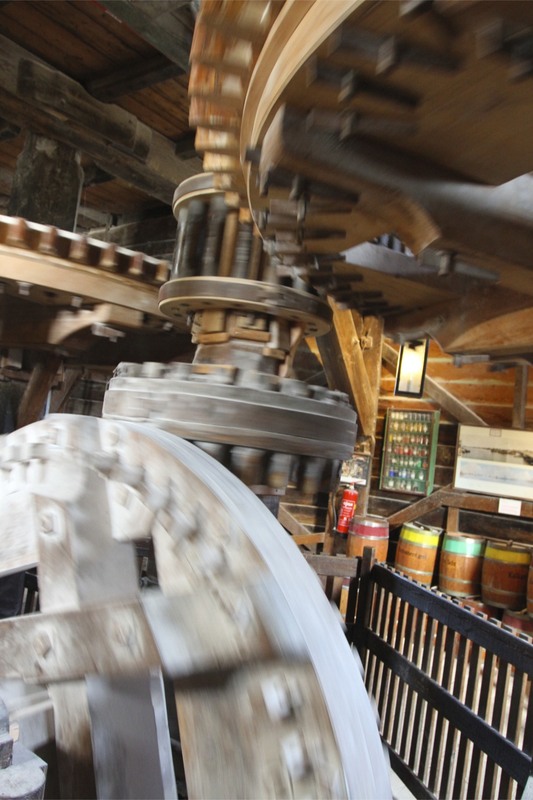 At one time there were over one thousand windmills in this region, but the introduction of the coal powered steam engine not only brought pollution, it also liberated industry from the vagaries of the wind. By 1850 only a handful of windmills survived. The day I was there most of the windmills were turning their sails, but only The Cat was open. 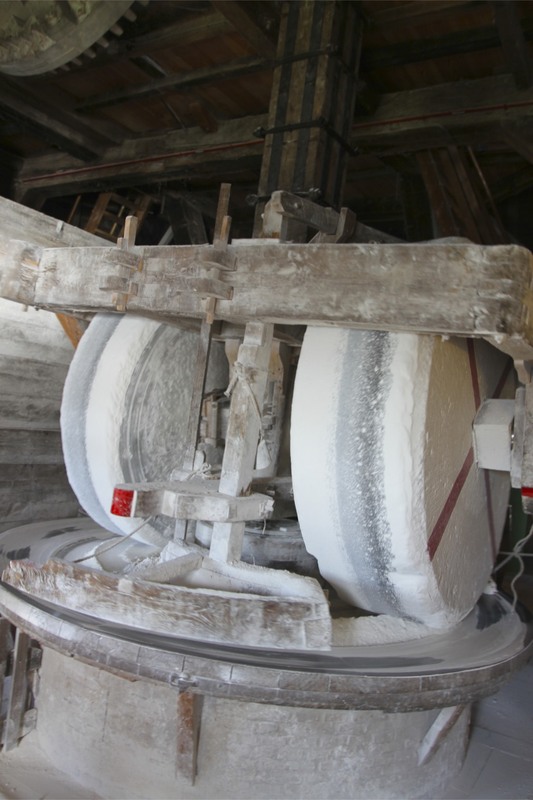 Stepping inside (€4 entrance fee), I was immediately confronted by giant 5000 kilogram granite stones grinding limestone for use in paint pigments. There was a strong wind and the noise was tremendous, the interior wheels and drive shaft mechanism were moving at alarming speeds. Going up the narrow steep ladders, noise levels don’t get much better and the whole building seems to vibrate as the sails turn. 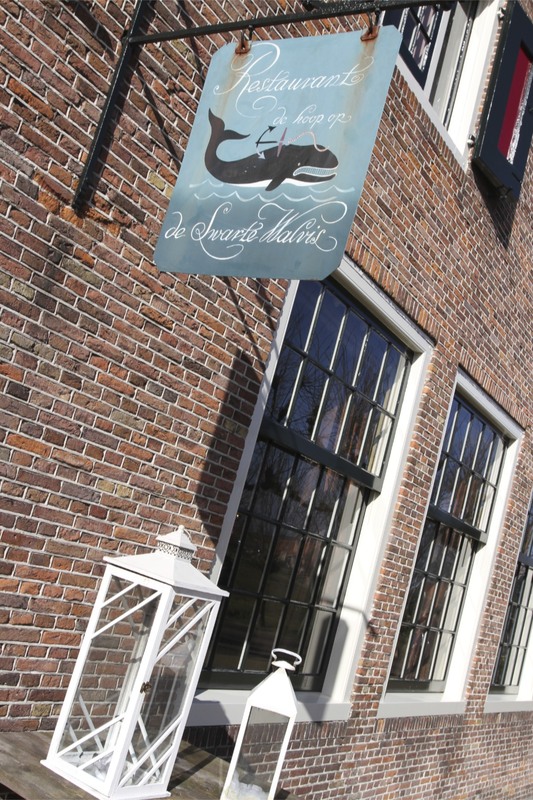 They may look picturesque from the outside, but working inside one of these early factories can’t have been easy on the ears. 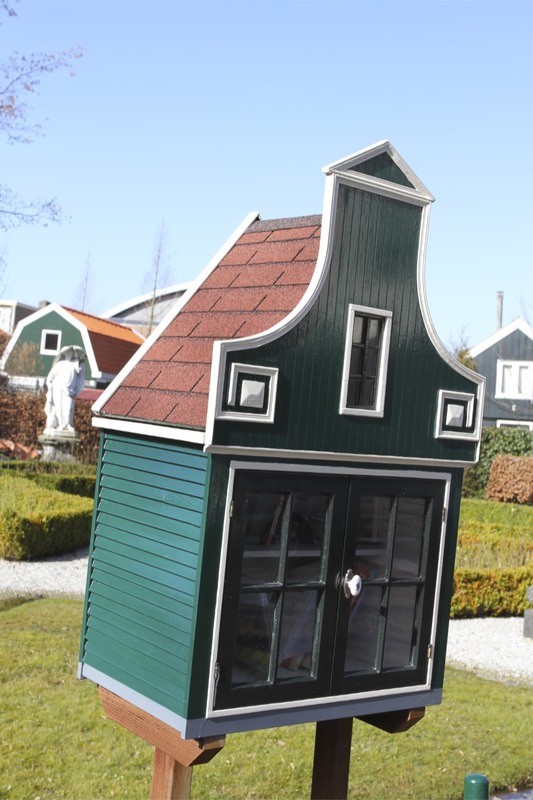 The Cat is a Smock windmill, where only the cap on top of the structure needs to be rotated to take advantage of the wind when it changes direction. You’d never guess it today, but The Cat is actually two windmills grafted together. The base was part of an oil mill known as The Cat, the top, however, comes from a dye mill called De Duinjager, The Dune Hunter. 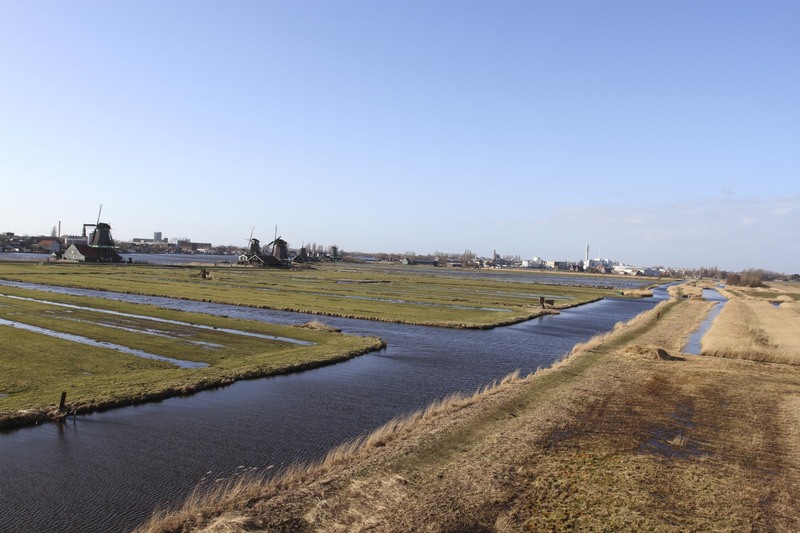 After exploring the interior of The Cat, I was chatting to the woman selling the tickets and she told me there was a nice walk through the nearby polders, the drained agricultural areas that form much of the Dutch landscape.